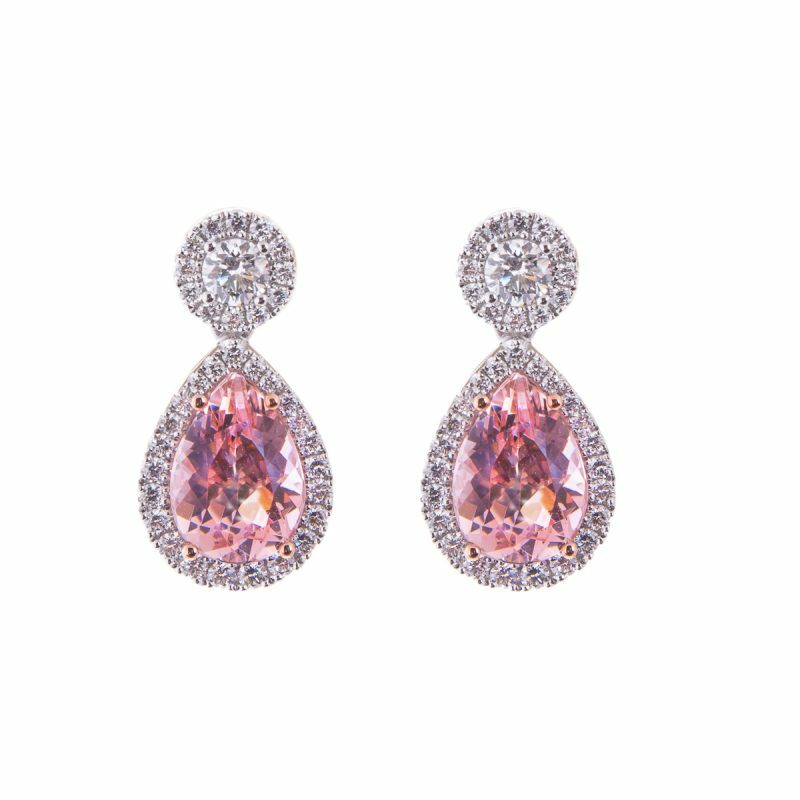 Pear cut morganite and diamond drop earrings mounted in 18ct white gold with a brilliant cut diamond set halo. 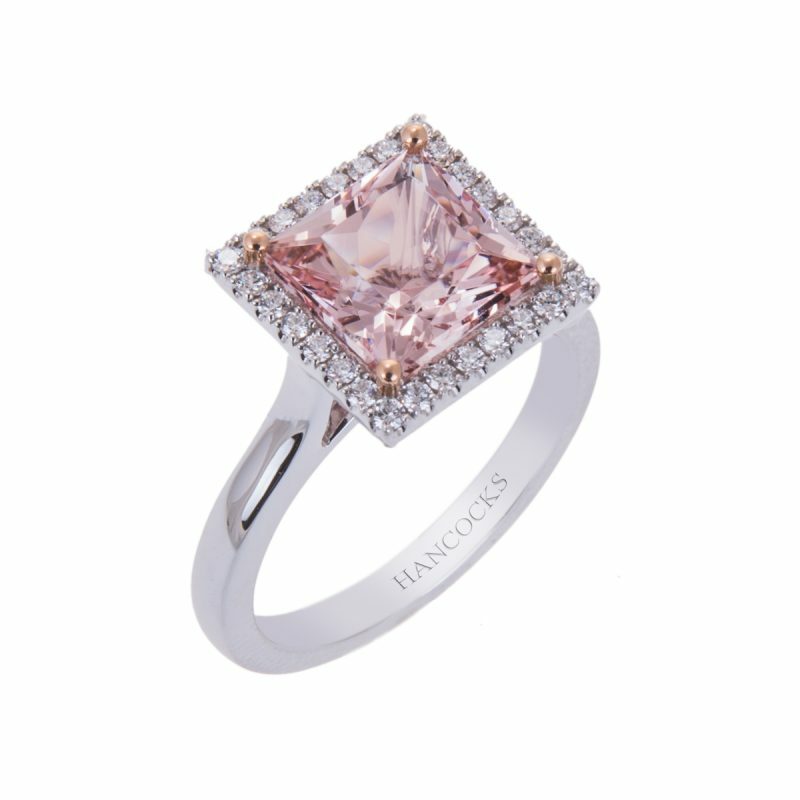 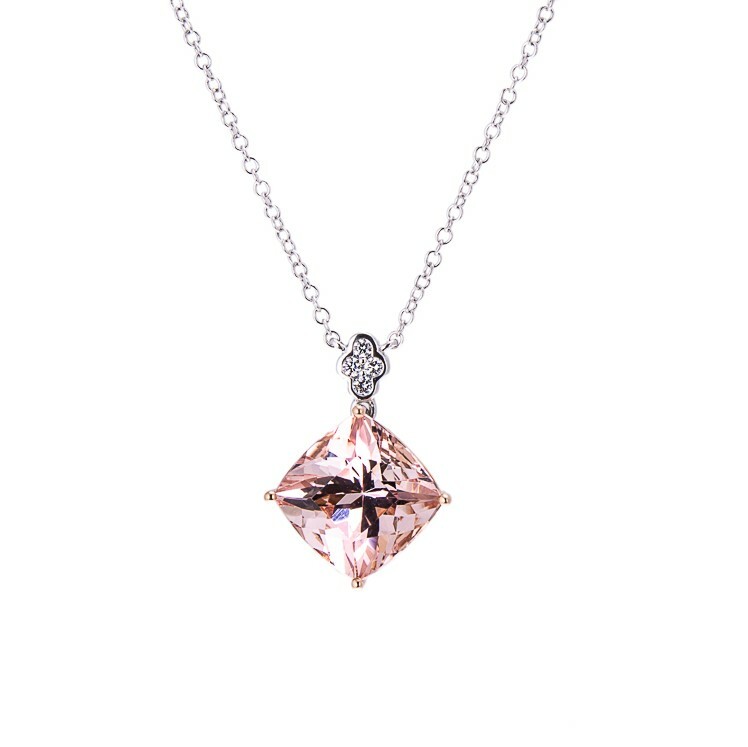 The enchanting rose pink colour of this beautiful gemstone is accentuated by the 18ct rose gold claw setting. 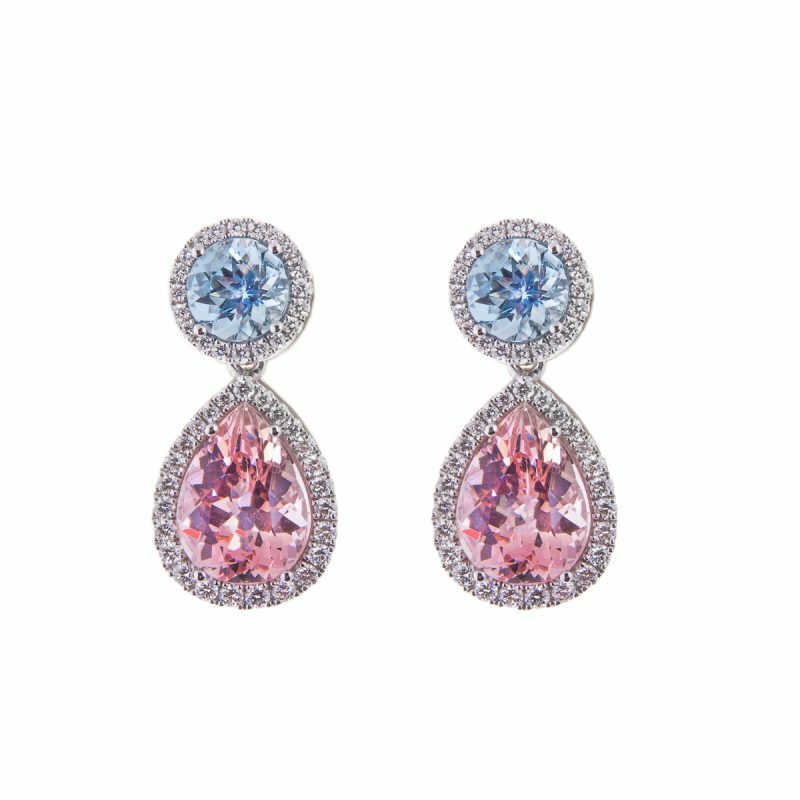 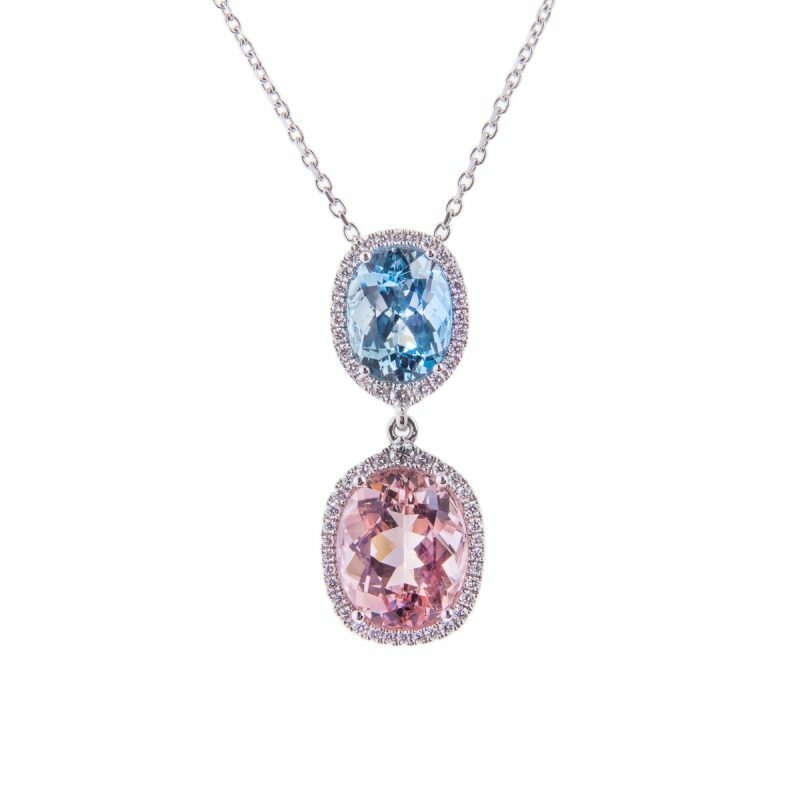 The stone is named after JP Morgan, an American financier and avid gemstone collector and is the beautiful pink variety of beryl, cousin to more familiar beryls like Emerald and Aquamarine.